Vanilla ice cream and apple pie, also known as my husband’s favorite dessert. Combine the two together and you have perfection. Creamy vanilla ice cream with a touch of cinnamon and real apple pie bites mixed in and you have the perfect fall dessert. Ice cream is the ideal ending to any meal, even as the outdoor temperatures cool down and this recipe proves it. I have an addiction to homemade ice cream. In fact, my automatic ice cream maker is my favorite kitchen appliance. After months of thinking about it, we finally experimented and made Homemade Apple Pie Ice Cream. Let me tell you, it should have happened a long time ago. This recipe is a winner. My husband declared the ice cream exceptional and a good friend said it was her favorite ice cream of the many I’ve made so far! 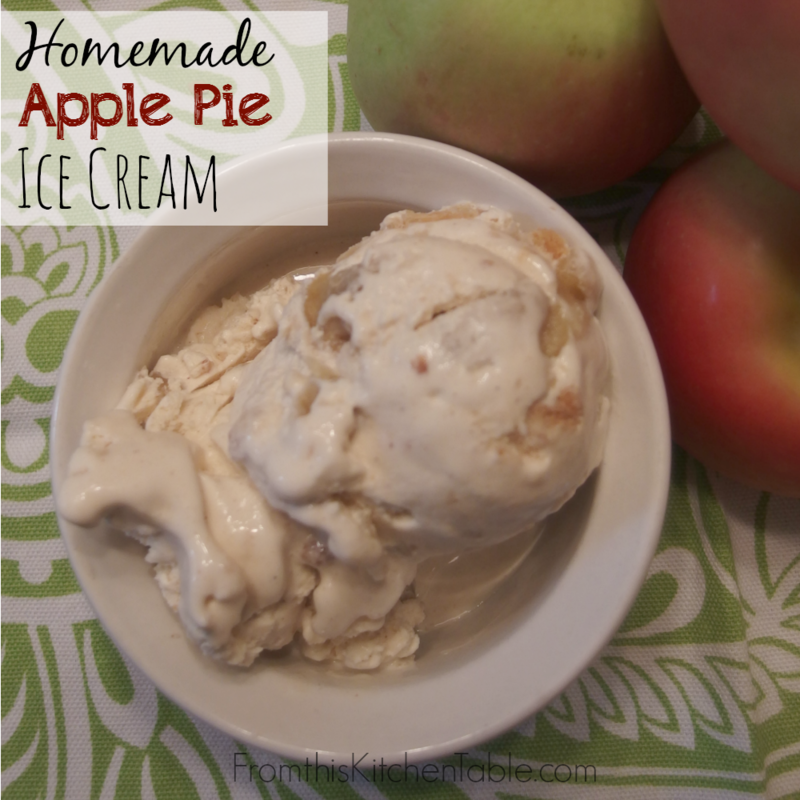 I made this ice cream lightly sweetened because I knew the apple pie was going to be added and we all thought it was perfect. You can make the pie from scratch or purchase one. Also, if you have an immediate ice cream craving and don’t want to take the time to cook and cool the ice cream, simply combine all the ingredients (making sure the cream and milk are thoroughly chilled – if you just bought it from the store, it won’t be cold enough) excluding the pie in the blender (or use beaters and a bowl) and combine well and pour into the ice cream maker. (If you don’t like eating raw eggs, you can leave the yolks out.) Freeze according to machine instructions and mix in pie at the end. Don’t forget to check out my tips for using your automatic ice cream maker! Plan to have extra apple pie after your Thanksgiving dinner this year, you won’t regret it! Put dairy, honey, arrowroot powder, cinnamon and a dash of salt in a pan over low heat. Use a whisk to stir as mixture heats. Combine egg yolks and honey in a small bowl. Slowly add ½-1 cup of the of heated cream to the egg yolks (stirring constantly). Then slowly add the egg mixture to the pan of cream, whisking constantly. Heat the ice cream mixture gently until it thickens slightly. (Don't let it come to a boil.) It will take around 5 minutes. As the ice cream mixture cools, stir it occasionally to keep a skim from forming on the top. Put ice cream into the refrigerator and chill at least 6 hours. Put mixture into ice cream maker and freeze according to your ice cream maker instructions. Chop apple pie into bite sized pieces and stir into the frozen ice cream. Serve immediately or put in freezer to have a more solid ice cream. I used the ¼ cup of honey since the apple pie adds additional sweetness. If you like things sweeter, use the larger amount! 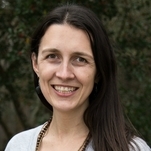 This entry was posted in Desserts, Recipes on October 24, 2014 by Deanna Michaels. Yes! I’m in love with my ice cream maker as well – those things are awesome. You are right, this recipe for perfect for this time of year. 🙂 Thanks so much for commenting and pinning – I appreciate it! Yum, just yum! I have 40 pounds of apples sitting in my refrigerator right now. I think this might makes its way on the menu this week. Thanks for sharing at Simple Lives Thursday; hope to see you again this week! Yes! I think you should make apple pies for one meal and then use the leftovers in this for the next day. So good! I just order 80 pounds of juice grade apples to turn into applesauce, but I think I’m going to have to do a little baking too. 🙂 Thanks for hosting. Have a great weekend! Oh my! My heart is pitter pattering right now. SO YUMMY looking. Pin Pin Pinning away. I am def. going to make this! I am kinda drooling lol. Thanks for linking up at Totally Terrific Tuesday Link Party! Party is now LIVE hope you come back and link up more awesome goodies for me to salivate over haha. We LOVED this ice cream. SOOO good. Thanks for pinning and stopping by. 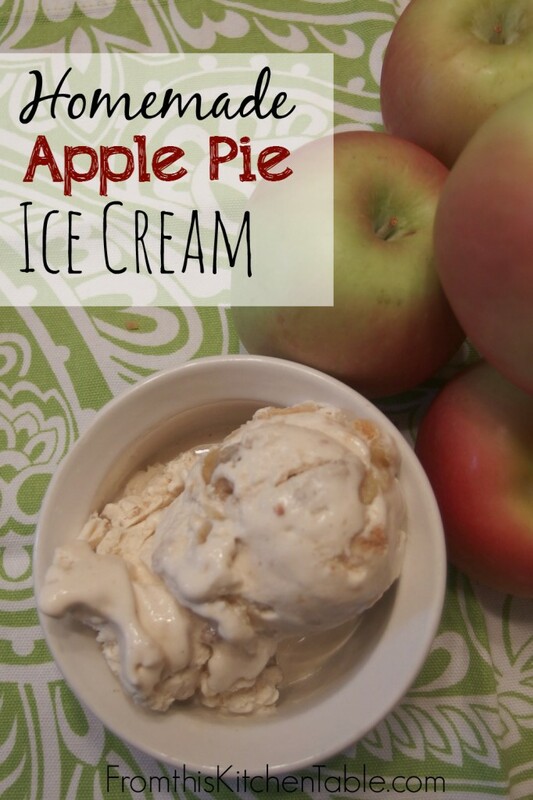 If there’s any leftover apple pie after Thanksgiving, snag it up and save it for this ice cream. 🙂 Have a great weekend.